Emory University will receive more than $1 million each year for the next five years from the NIH, renewing the NIH's support for Emory's Morris K. Udall Center of Excellence in Parkinson's Disease Research. With a goal of developing more effective Parkinson's disease treatments that have fewer side effects, the Emory Udall Center will integrate cutting-edge collaborative research, expert training of researchers and clinicians, and open dialogue with the general public. 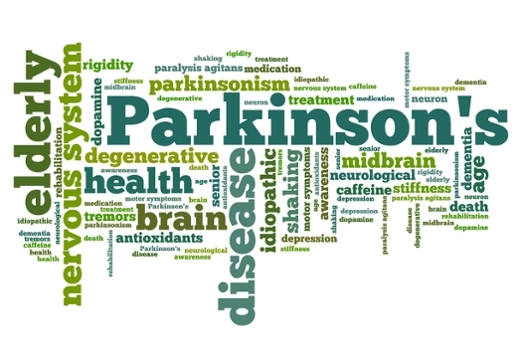 Parkinson's disease (PD), a complex neurodegenerative disorder, affects more than one million people in the United States and is the second-most prevalent neurodegenerative disorder after Alzheimer's disease. PD is characterized by gradually progressive motor symptoms, such as tremor, slowness of movement, rigidity, impaired balance and autonomic problems, as well as other issues, such as cognitive decline. Thomas Wichmann, MD, professor of neurology at Emory University School of Medicine and a researcher at the Yerkes National Primate Research Center, is the principal investigator of the Emory center. Together with project and core investigators (Drs. Dieter Jaeger, Yoland Smith and Adriana Galvan), the Center will focus on developing a deeper understanding of brain circuit abnormalities that contribute to parkinsonism, using a cohesive program of sophisticated rodent and primate experiments. In addition, the center will serve to foster collaborations among the many other faculty members at Emory who study various aspects of PD, with expertise ranging from anatomy and electrophysiology to pharmacology and toxicology. The Emory Udall Center is also a component of the larger network of NINDS-funded Udall Parkinson's Disease Research Centers, which will facilitate PD research collaborations with outside investigators. The Yerkes National Primate Research Center, the clinical Movement Disorders program, as well as Emory College and Emory's ENTICe center for neuromodulation provide additional generous funding for the Emory Udall Center to support a pilot research program and visiting speaker seminars. Project 1, led by Dieter Jaeger, PhD, professor of biology, will investigate how altered basal ganglia activity in PD influences thalamic and cortical activity patterns in rodents. Experiments in project 2, led by Thomas Wichmann, MD, professor of neurology, will examine parkinsonism-associated changes in thalamocortical and corticothalamic interactions in non-human primates. Project 3, led by Yoland Smith, PhD, professor of neurology, will study parkinsonism-related anatomical changes in the basal ganglia, thalamus and cortex using electron microscopy methods in rodents and monkeys. The center features two cores. Core A focuses on administration, as well as the Center's outreach and education missions, while Core B provides essential anatomy, electron microscopy and drug testing services to the three projects. In addition, the Emory Udall Center has important education and outreach missions. In terms of education, the center will continue to teach young investigators to carry out impactful PD-related science, through formal and hands-on education. The Center also engages in many outreach activities, with the goal of educating the public and patients about PD research. Center staff coordinate public outreach via a Community Outreach Board that includes patients with PD, their caregivers and others, and coordinates these activities with the Atlanta chapter of the American Parkinson's Disease Association and other PD support organizations. The NINDS Parkinson's Disease Research Centers of Excellence program (www.ninds.nih.gov/research/parkinsonsweb/udall_centers/) was developed in honor of former Congressman Morris K. Udall, who died in 1998 after a long battle with Parkinson's disease. The NINDS (www.ninds.nih.gov) is the nation's leading funder of research on the brain and nervous system. The NINDS mission is to reduce the burden of neurological disease – a burden borne by every age group, by every segment of society, and by people all over the world.